There are clear evidences of new Dark Ages bearing down upon believers as the first results of the Evangelical compromise of the Gospel come rolling in. In this issue we report on developments in the USA, Germany, and England. The major tactic of the Roman Catholic Church (RCC) has been by dialogue to seduce the Evangelicals into accepting RC terminology, as we have documented. The RCC is clear about her objective when she says, "...dialogue is not an end in itself.. .It is not just an academic discussion." Rather the stated aim is that "little by little, as the obstacles to perfect ecclesial communion are overcome, all Christians will be gathered, in a common celebration of the Eucharist [i.e., the Mass], into that unity of the one and only Church... This unity, we believe, dwells in the Catholic Church as something she can never lose...."
If there is any doubt about the RCC objective and methods, it can be cleared up by reading No. 42, "Reflections and Suggestions Concerning Ecumenical Dialogue" [S. P. U. C., 15 August 1970, in Vatican Council II The Conciliar and Post Conciliar Documents, Austin Flannery, ed. (Northport, NY: Costello Publishing Co, 1975) Vol. I, pp. 535-553] from which these quotations were taken, pp. 549, 541 respectively. In light of this rubric, a new document released in June of this year from a different quarter begins to fall into its logical place in an agenda far larger and far more sinister than most Evangelicals suspect. A Time to Celebrate or a Time to Repent? "The Gospel of Jesus Christ: An Evangelical Celebration" (EC) is a significant document published in the June 14, 1999, issue of Christianity Today. Undoubtedly, this position paper will have a far-reaching impact on the Evangelical community. Unlike "Evangelicals and Catholics Together" (ECT I) and "The Gift of Salvation" (ECT II), the new document is a biblically accurate presentation of the Gospel. In that, EC is eminently commendable and stands in stark contrast to the ECT I and II agreements, which remain under biblical condemnation since those two ecumenical documents give a false gospel. EC is not, however, a statement of faith. "Do I now persuade men, or God?" 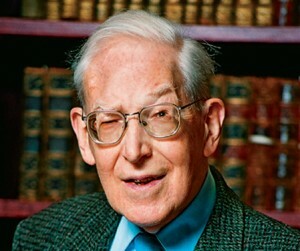 J. I. Packer, Timothy George, Thomas Oden, and John Woodbridge, all of whom endorsed ECT II, were involved with leading Evangelicals in the actual drafting of this present document. Consequently, it must be asked if these four men have repented both privately and publicly of the ecumenical documents they had previously signed. If so, to whom was the statement made and where may their public repentance statement be found? Have they formally responded to the resolution passed at the 1999 Ex-Catholics for Christ (ECFC) conference which called for them to "publicly renounce the ECT accords and ask the church at large for forgiveness for their past participation in these accords" and where is their response published? If they have not repented publicly, then it is necessary to inquire if in confronting the endorsers of ECT I and II regarding their actions, the method adopted, that is, producing a document with them, is the biblical method. Had Paul and the Judiazers decided to solve their conflict by sitting down with one another and declaring that both he and they were "Evangelicals who derive our very name from the Gospel", the Judiazers could have won the day. The Apostle Paul's approach was radically different. He rebuked them forthrightly, "O foolish Galatians, who hath bewitched you?" He states the issue succinctly, "I marvel that ye are so soon removed from him that called you into the grace of Christ unto another gospel." Understanding the seriousness of the issue, he declares, "If any man preach any other gospel unto you than that ye have received, let him be accursed." In actual fact Paul ruled out the tactic of trying to please men. The Gospel was at stake. Paul's severe rebuke is an act of Holy God's graciousness itself, given the seriousness of the sin which these men have committed¾ for Paul understood that anyone embracing a false gospel is under Holy God's anathema. In the context of Galatians, Paul does not charge the Judiazers with having rejected the Gospel from the outset but rather with not having continued in obedience to the Gospel. Since this is also the case with the Evangelical signatories of ECT I and II, it must be asked if those who initiated EC had used the biblical methodology regarding the ECT signatories prior to the drafting of EC so that EC is, therefore, the fruit of such change of mind where the ECT signatories are concerned. If these two things are so, there are many who would greatly desire to hear of the repentance¾ for since the publication of both ECT I and II were public, repentance ought likewise to be public. Besides this signal question, if there has been no repentance it must be asked how these same persons who still endorse ECT are able to draft and to endorse EC with any credibility¾ since the grave contradictions between the ECT documents on the one hand and the EC document on the other are now clearly and formally before the public? In ECT II, Packer et al. affirmed, "It [justification] is entirely God's gift, conferred [rather than imputed, and by virtue of his [God's] declaration it [justification conferred] is so." How could these Evangelical men submit to the use of the classic, historic Roman Catholic term "conferred" in place of the biblical term "imputed" which they know so well and as they state so clearly in the EC? This same term, "conferred", is found consistently in the new Catechism of the Catholic Church (1994) when, for example, Rome declares, "Justification is conferred in Baptism, the sacrament of faith. It conforms us to the righteousness of God, who makes us inwardly just by the power of his mercy." The term, "conferred", goes consistently back over four centuries to the decrees of the Roman Catholic Council of Trent. "If anyone shall say that by the said sacraments of the New Law, grace is not conferred from the work which has been worked [ex opere operato] but that faith alone in the divine promise suffices to obtain grace: let him be anathema." Anyone with theological or historical training is quite versed in the crucial distinction and would be aware of the history of the distinction. The exact reading of the RCC term, "conferred", in the classic and historic context of the issue of justification, in ECT II is a lie documented. That these four educated men would agree to use it in a document concerning acceptance of Roman Catholics as "brothers and sisters in Christ" is unfathomable, almost. "We affirm that the doctrine of the imputation (reckoning or counting) both of our sins to Christ and of his righteousness to us, whereby our sins are fully forgiven and we are fully accepted, is essential to the biblical Gospel (2 Cor. 5:19-21). We deny that we are justified by the righteousness of Christ infused into us or by any righteousness that is thought to inhere within us." To the fifteen signers of both ECT and EC must be put the words of James 3:11, "Doth a fountain send forth at the same place sweet water and bitter?" Where do these men stand? Justification is either the doctrine of the imputation or, as the Roman Catholics say, it is conferred justification. "How long halt ye between two opinions? if the LORD be God, follow him: but if Baal, then follow him." Is it that now in our time it is more religiously expedient to be "politically correct" than to stand firm on Biblical truth? Has there been a renunciation of the Irish ECT document endorsed by such as J. I. Packer and leading Roman Catholic clergy as well as laity? Have all the translations of ECT I and II been withdrawn? If there have been statements of repentance, have those statements been translated into those languages where ECT I and II have blunted both missionary support and evangelism? The Scriptural command for Evangelicals is precise: "Mark them which cause divisions and offences contrary to the doctrine, which ye have learned and avoid them." The procedural problem in producing EC is that some of those who helped draft the false gospel of ECT I & II have also had a major part in drafting this exclusively Evangelical document, J. I. Packer and Timothy George in particular. Over the past few years, they and others have consistently touted their support of the false gospel as "loving". Now they have been given a major part in producing yet another agreement while the lies of ECT I and II, which they have consistently espoused, have been left intact. Have they repented? Otherwise, how has biblical methodology been followed? "We know too that as trustees of God's revealed truth we cannot embrace any form of doctrinal indifferentism, or relativism, or pluralism by which God's truth is sacrificed for a false peace." If there has been no repentance on their part, is this not precisely what has been done by those who signed ECT I and II and, additionally, this EC document? 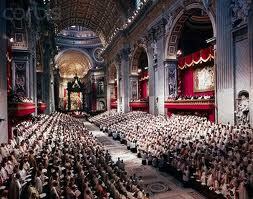 Is EC mainly another fruit of Vatican Council II Document No. 42? The RCC has spelled out clearly the parameters of her agenda, which is becoming manifest before the public. In that same Document No. 42, "Reflections and Suggestions Concerning Ecumenical Dialogue", she states that her aim is to bring "all Christians in a common celebration of the Eucharist, into that unity of the one and only Church...[which] dwells in the Catholic Church as something she can never lose". Her rules for accomplishing this objective are also clearly spelled out. Under the section entitled "Conditions for Dialogue", she states unequivocally, "With regard to the presentation of doctrine...On the one hand, dialogue leads to a more exact knowledge of our brethren, to which they will normally be able to open the way for us. On the other hand, the Catholic participant must carefully inform himself of the content of his Church's faith...remembering that ecumenical encounter is not merely an individual work, but also a task of the Church, which takes precedence over all individual opinions." Further, under the remarks about doctrine, the RCC law of engagement is this, "The Catholic will be careful to check his manner of procedure in the ecumenical dialogue. In particular he will examine how closely he follows the directives and orientations given by the pastors of the [RC] Church regarding both the ecumenical task taken as a whole and dialogue in particular. He will normally become acquainted with these directives through the territorial commission for ecumenical questions or the diocesan commission." Regarding the method of proceeding to perpetrate RCC doctrine on those gathered for dialogue, some of the rules for Catholics are these: "Each partner should seek to expound the doctrine of his own community in a constructive manner, putting aside the tendency to define by opposition....[Interestingly, the Bible teaches much by means of contrast.] The partners will work together towards a constructive synthesis, in such a way that every legitimate contribution is made use of, in a joint research aimed at the complete assimilation of the revealed datum." Here is the old line of evolution, truth by synthesis. There is no mention of holding fast the truth of Scripture, nor is truth regarded at all, whereof ECT I and II are the evidence. Finally, under the section entitled "Forms of Dialogue", it is stated, "Since the participants have the duty to see that the experience gained in these meetings benefit the members of the [RC] Church, they will take care to communicate with the pastors of the Church, passing on information regarding their activities to the various commissions for ecumenism (the Secretariat for the Promotion of the Unity of Christians [over which Edward Idris Cardinal Cassidy currently presides], national, regional or diocesan commissions)." With this in mind, one can understand the importance of Cardinal Cassidy's input with the Colson-Neuhaus group when ECT II was promulgated. ECT II is a far more subtle document than ECT I, particularly in that under the watchful eye of the Cardinal and his Jesuits imputed righteousness has been effectively banished in favour of "conferred" righteousness. Indeed, need it be made clearer that "the experience gained in these meetings [ECT I]" has been carefully communicated to the "pastors of the [RC] Church, passing on information regarding their activities to the various commissions for ecumenism..." is precisely what is happening as the RCC continues to "dialogue" with Evangelicals? What are the lists of signatories to ECT I and II other than catalogues of trapped Evangelicals? "This statement clarifies the central content of the evangelical understanding of the Gospel that was confused and obscured by such initiatives as Evangelicals and Catholics Together and The Gift of Salvation. Although we affirm this statement, we want to dissociate ourselves from possible misuse. Therefore we do not think it would be appropriate or helpful to sign this statement either as individuals or as a council, since we believe that signatures may be interpreted as a tacit endorsement of Evangelicals and Catholics Together and The Gift of Salvation&"
In Germany, also, the Counter-Reformation has been making spectacular headway. There, as in the United States, the objective for Cardinal Cassidy and those who report to him, is at last after more than four centuries to reverse the Reformation and to "regain' the gospel itself. If all goes according to plan, the Vatican and the Lutheran World Federation will sign their Joint Declaration on Justification on Reformation Day, October 31, 1999 at Augsburg (where the Lutheran Confession was published, and on the very day when Martin Luther nailed up his 95 theses). Both sides will declare that "a consensus has been reached on an important issue that has divided Lutherans and Roman Catholics for centuries.' Thorough as always, Rome has also sought to gain control of the Lutheran heartlands since the collapse of Communism by making separate concordats with the Lutheran regions. This has given her considerable influence in those regions with regard to the teaching of Roman Catholicism in state schools, the establishing of private Catholic schools and the curriculum in theological facilities of state Universities. In Britain, the Anglican-Roman Catholic Commission (ARCIC) made its declaration on Justification in 1987. It had decided, according to The Times (January 24 1987) that "the Reformation was indeed a misunderstanding about certain key words and concepts at the centre of Christianity's self-knowledge'. The key New Testament word referred to is the Greek verb dikaioun. As David Samuel, then Director of Church Society, wrote, also in The Times (March 7 1987), "Protestants understood it to mean to "pronounce righteous', not "to make righteous'. Roman Catholics, following the tradition of the church in which the Latin term justificare was used, took it to mean "to make righteous. &The Biblical teaching is not difficult to establish. Since the Reformation it has generally been agreed by scholars that the Reformers were right; in the New Testament "to justify' has a legal sense. Wherever it is used with reference to our acceptance with God, it means to declare a person just, as in a court of law; it does not mean "to make just'. God justifies us freely by His grace (Romans 3:24); therefore justification has nothing to do with our moral and spiritual condition.&The purpose of the ARCIC statement is not to establish what is the true Biblical doctrine of justification, but rather to try to harmonize two mutually exclusive and contradictory doctrines of justification, the Roman Catholic and Biblical (or Protestant). It is merely a formula for effecting an institutional merger between the Church of Rome and the Anglican Communion, and accordingly devalues doctrine." Since this departure from the true Gospel by the Church of England and the publication in 1994 of the ARCIC document Clarifications (the reply to the Vatican's response to the Final Report (1986), it has become clear that the Church of England has capitulated entirely to the Church of Rome and to the teaching of the Council of Trent, on both "Ministry' and "Eucharist' (the Lord's Supper). When John Henry Newman met with Cardinal Wiseman in the Vatican in 1833 (the launch year of the Oxford Movement), he asked him on what terms the Church of England could be received back into the Roman fold. "By swallowing Trent whole,' replied Wiseman. That feat has now been accomplished by ARCIC on behalf of the Anglican Communion. But acceptance of, (or submission to) "the real presence', the adoration of the reserved sacrament, the sacrificing priesthood and the apostolic succession are still not enough. There is new dogma to digest. ARCIC II's "Final Report on Authority' The Gift of Authority, published in May 1999, calls for complete surrender to the authority of the Papacy, together with the acceptance of the principle of Papal infallibility. Infallibility (dogma dates from 1870) is decidedly an after-course to Trent¾ and nothing whatsoever has been conceded in return by the Church of Rome. The Church of England's Reformation birthright and blessing have been exchanged for nothing other than what is represented by spin-doctors and the media as "politically correct", "peace", "unity''and "another gospel".